The annual gathering of ABS-CBN's biggest and brightest stars happened tonight, Sept. 30, at the Makati Shangri-La Hotel. 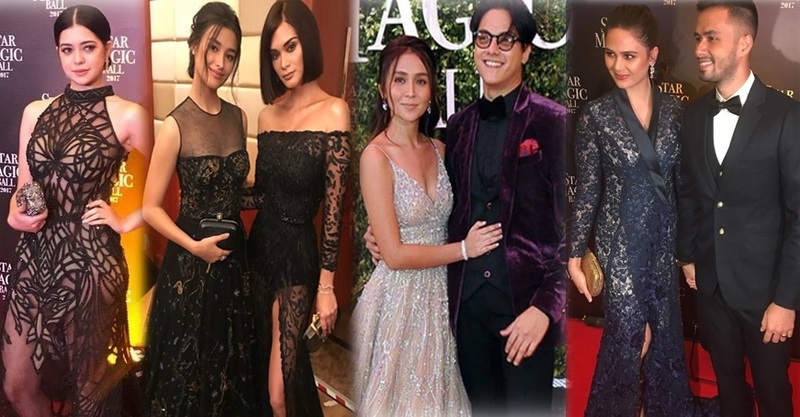 It was a night full of glitz and glamour as the stars dressed to the nines for what is known as the 'biggest event of the year' in Philippine showbiz. Topping the list of Star Magic Ball head turners include Pia Wurtzbach, Kathryn Bernardo, Julia Barretto, Kim Chiu, Denise Laurel, Sue Ramirez, and Maymay Entrata. Of course, Liza Soberano, the best dressed celeb last year, made sure that she slayed the red carpet again with her simple yet elegant custom-made Christian Dior gown. All eyes were also on the former Star Magic artists Kristine Hermosa, Heart Evangelista and Claudine Barretto, and Kapuso actress Janine Gutierrez, who was Rayver Cruz's ball date. While many left us stunned with their looks, some artists miserably failed to rock the red carpet. Angelica Panganiban, Ylona Garcia and Marion Aunor were among the stars who have made questionable style choices.